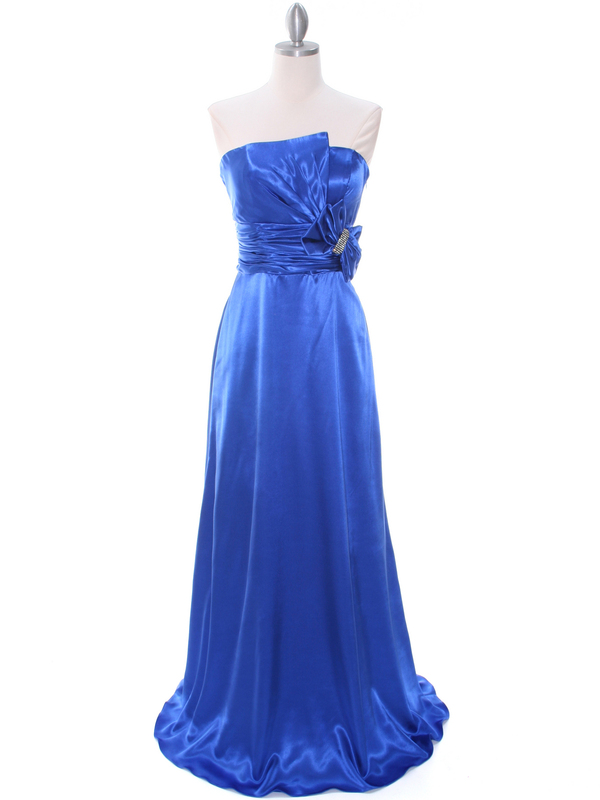 Royal Blue Charmeuse Bridesmaid Evening Dress | Sung Boutique L.A. 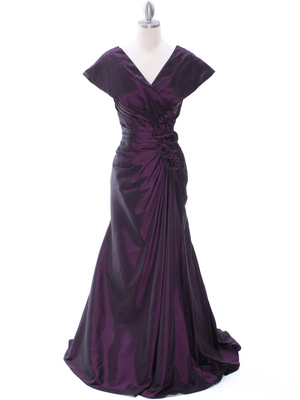 This lovely charmeuse evening dress features simple neckline with pleats spreading across. Ruched empire waist with sparkling rhinestone decor adorns bow. Long flowy elegant skirt finishes this fantastic look. - Approx. 55 in. 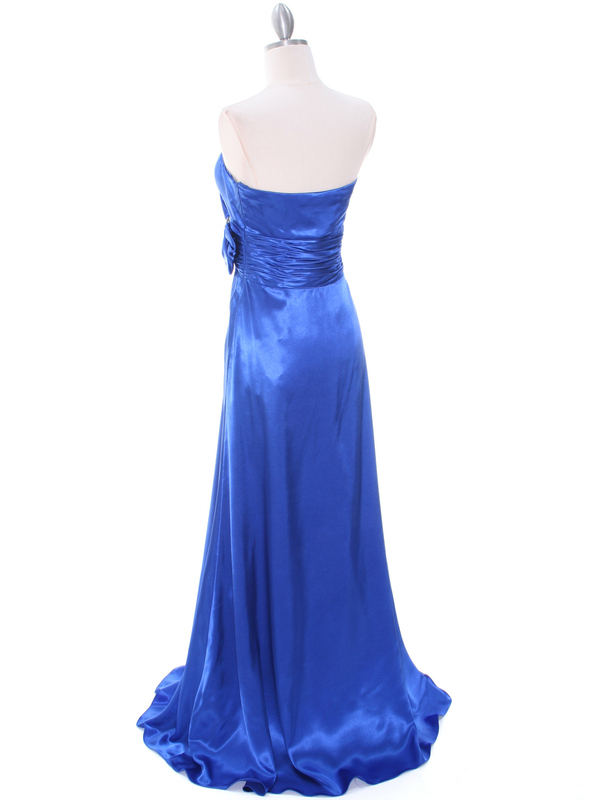 from center front to hem.